War is a survival among us from savage times and affects now chiefly the boyish and unthinking element of the nation. The wisest realize that there are better ways for practicing heroism and other and more certain ends of insuring the survival of the fittest. It is something a people outgrow. 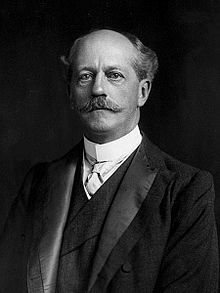 Percival Lowell (March 13, 1855 – November 12, 1916) was an amateur astronomer. A millionaire, he founded a professional-quality observatory at Flagstaff, Arizona that is still in use. He is most famous for his claims that Mars was covered with canals, which were due to intelligent life. This inspired H. G. Wells to write The War of the Worlds and Edgar Rice Burroughs to write his Mars novels. He also began a search for a ninth planet that led to the discovery of Pluto at his own observatory in 1930. His sister was Amy Lowell; he was also related to James Russell Lowell and Robert Lowell. That Mars is inhabited by beings of some sort or other we may consider as certain as it is uncertain what these beings may be. Are physical forces alone at work there, or has evolution begotten something more complex, something not unakin to what we know on Earth as life? The whole object of science is to synthesize, and so simplify; and did we but know the uttermost of a subject we could make it singularly clear. War is a survival among us from savage times and affects now chiefly the boyish and unthinking element of the nation. The wisest realize that there are better ways for practicing heroism and other and more certain ends of insuring the survival of the fittest. It is something a people outgrow. But whether they consciously practice peace or not, nature in its evolution eventually practices it for them, and after enough of the inhabitants of a globe have killed each other off, the remainder must find it more advantageous to work together for the common good. So far as thought may peer into the past, the epic of our solar system began with a great catastrophe. Two suns met. What had been, ceased; what was to be, arose. Fatal to both progenitors, the event dated a stupendous cosmic birth. This page was last edited on 12 March 2018, at 22:20.